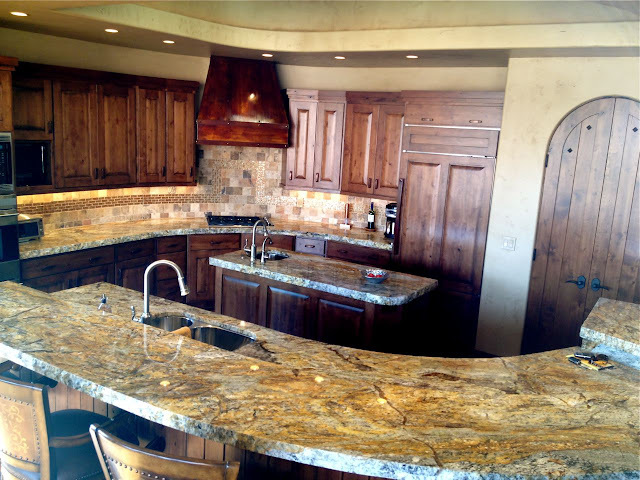 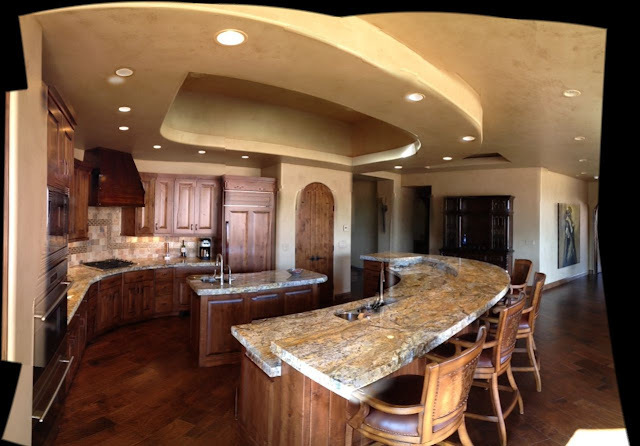 Today I have pictures of a beautiful home in St George, Utah that we did the countertops in a few months ago. 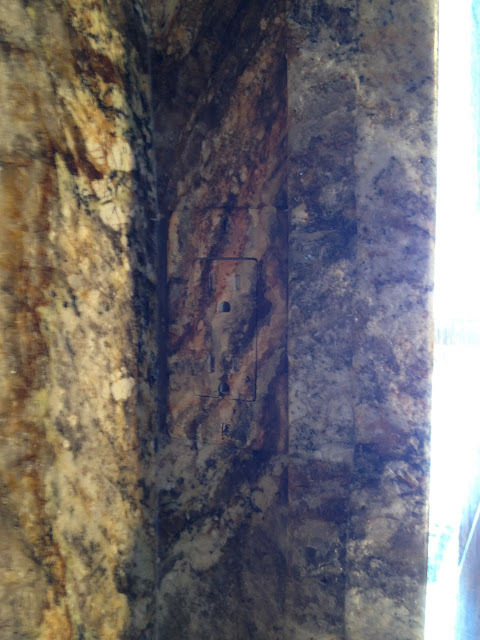 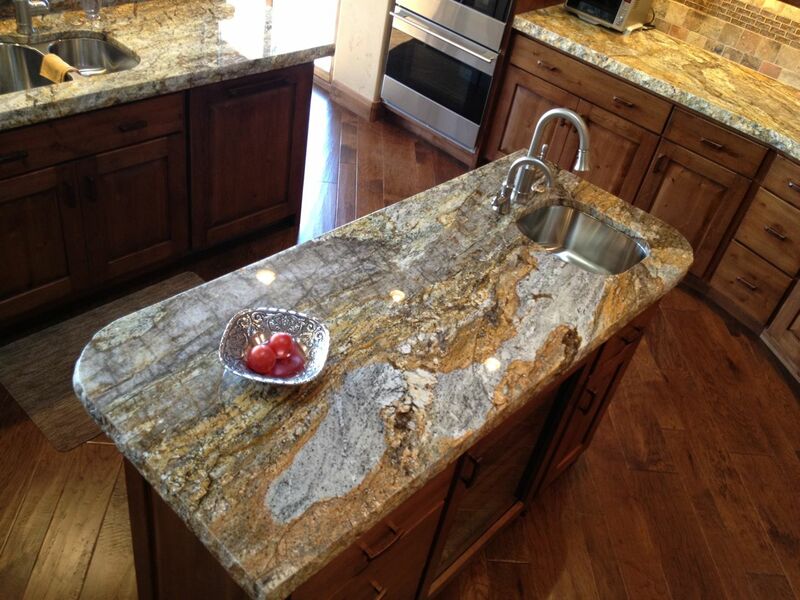 The countertops are Golden Ray granite with a 2 1/4" Chiseled edge detail. The Chiseled edge was a little more difficult to do in this kitchen due to all the quartz crystals in this particular granite and the fact that this kitchen had so many curves. 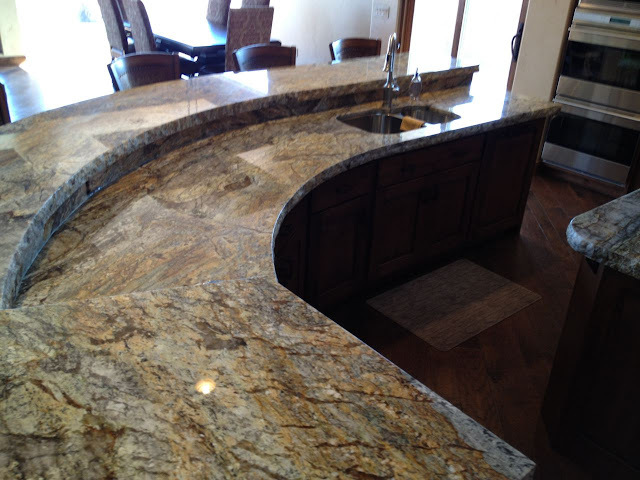 It takes a great fabricator to be able to get the radius edges to look just right. 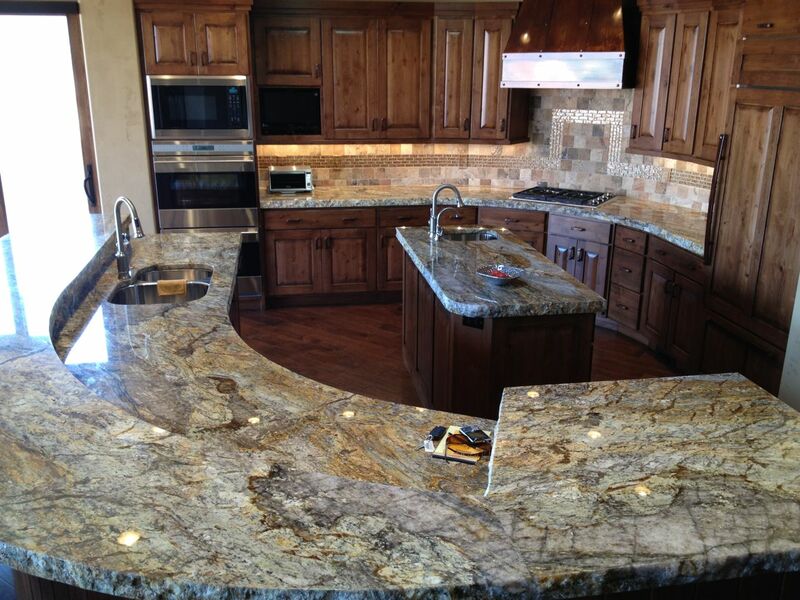 We are fortunate enough to have some of the best fabricators around working for us! 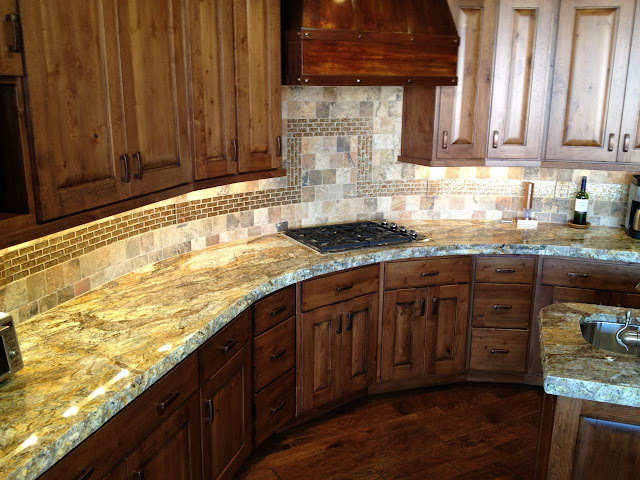 The backsplash on the perimeter was tile and on the outer island (between the upper and lower bar) was the Golden Ray granite. 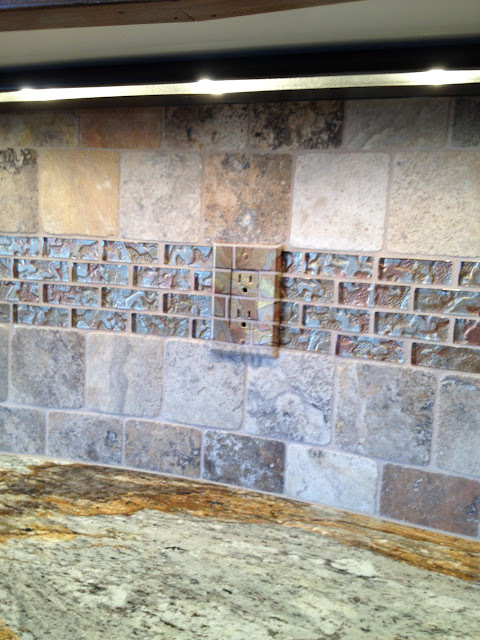 The homeowner brought in an artist who painted the outlets on both the perimeter and the island to match the tile and the granite. She did an amazing job, when you look at them from a distance you can't even see the outlets! 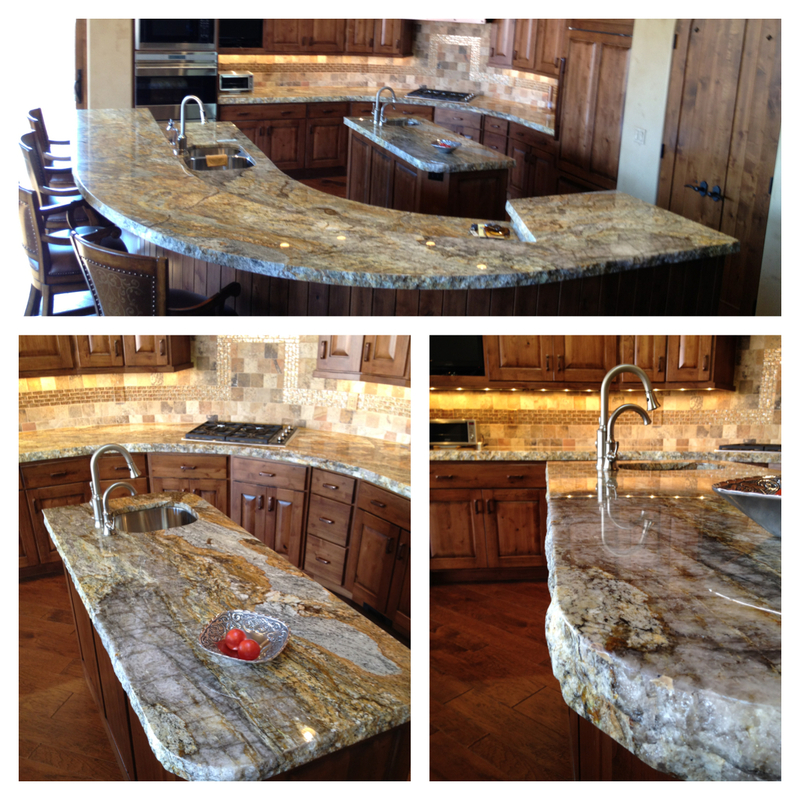 We truly feel like we have the best customer's and we love seeing our work all finished up! This home turned out so beautifully and we are proud to have had a hand in it. Come back on Thursday and I'll show you pictures of their bath, it's really pretty too! 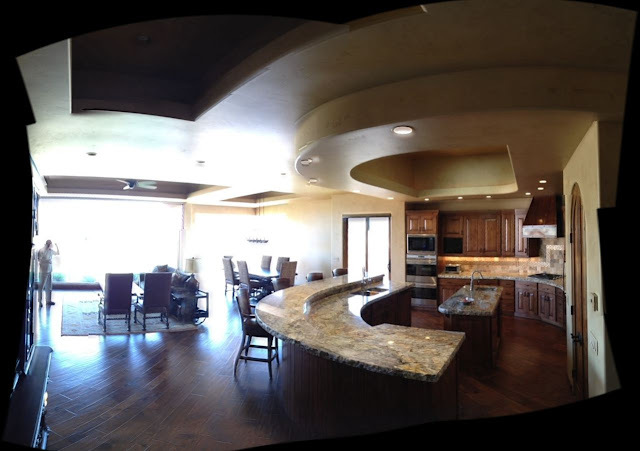 *All photos property of MGS by Design. 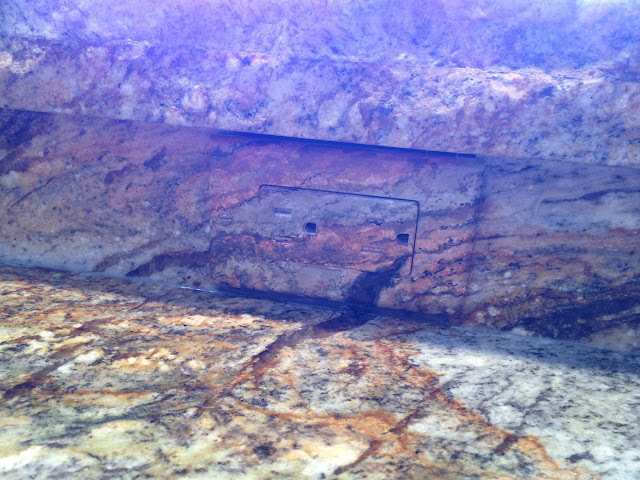 Please link back to this article when using these photos. 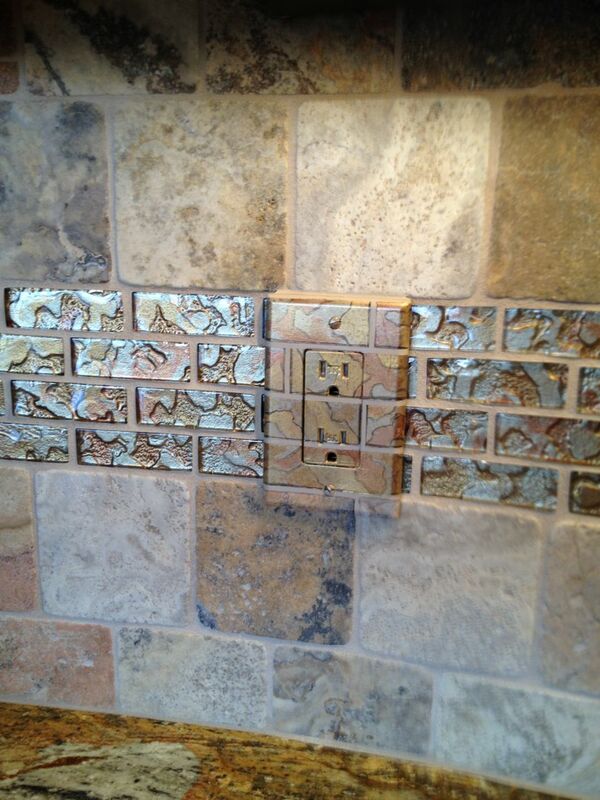 I'm usually not a fan of painted outlet covers, but the artist did such a fantastic job I couldn't even believe it!